Today we learned about dinosaur environments. 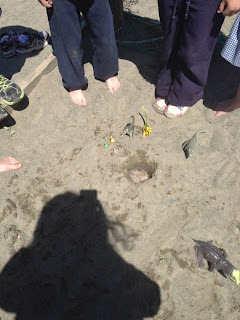 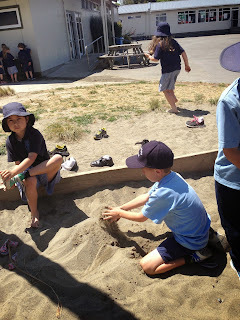 We discovered that an environment is where something lives and what the world around it looks like. 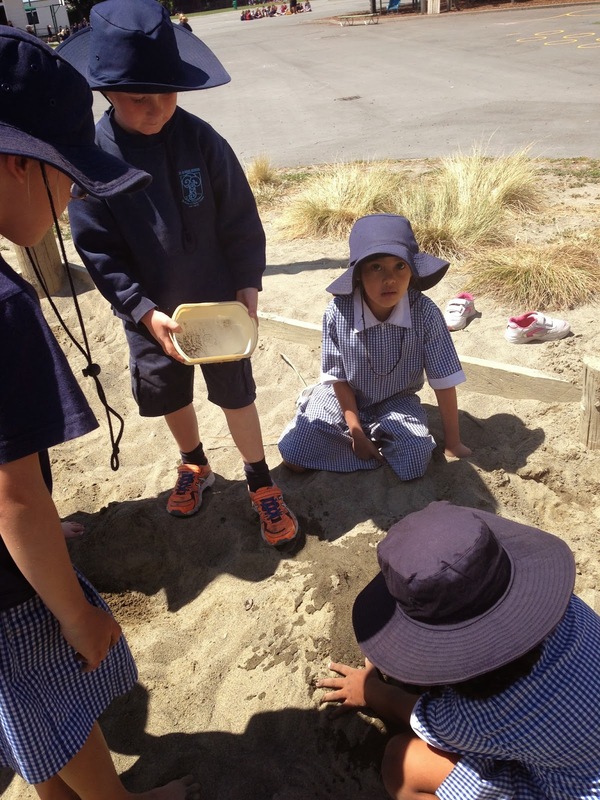 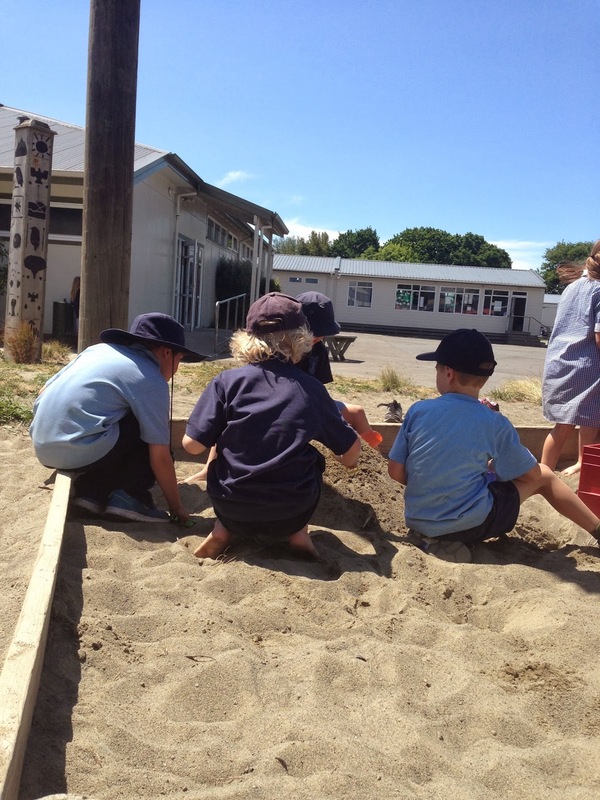 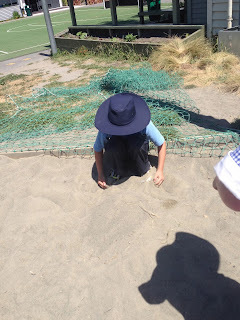 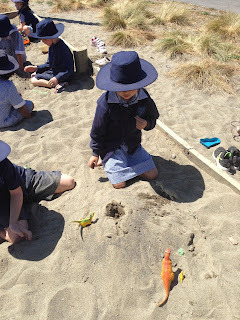 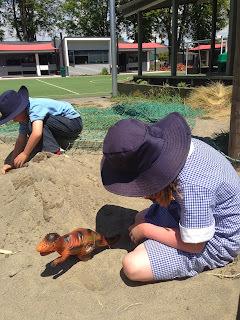 We discovered that dinosaurs had lots of volcanoes around them and also lots of trees, rivers, water holes, grass, other dinosaurs, caves, sand, nests, eggs, fossils, stones, bones. 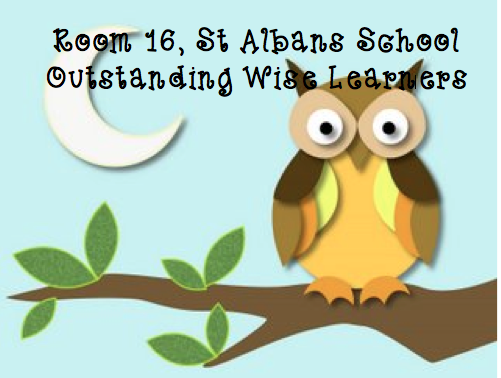 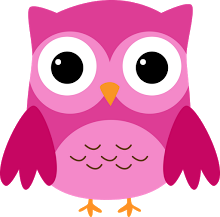 We worked in a group that Mrs Pelham picked - we had to work with people we don't usually work with - this was fun and a challenge at the same time. Our group all did a dinosaur volcano and put dinosaurs on it. 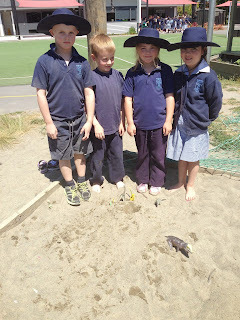 Our Teacher, Mrs Pelham, put vinegar, food colouring and baking soda in the hole and made our volcanes erupt.